I’ve received some of the activity trackers from the brands or as a part of the Best Buy Ambassador program, but all opinions are my own. I started the new year with goals to live an even healthier life and I joined the whole 30 list way of life to reset my metabolism and finally break the cycle I’ve been trying to break for over a year now! In 2015 that was me, between 115 – 118 pounds, super fit! In 2016, not sure what happened but I missed the train….packed 10+ pounds and I know what you are thinking – I know, I don’t need to put it in words, but for me, it’s all about feeling comfortable with your body, no matter what shape and number that is! I need to confess, I’m not comfortable with my current body! I said it out loud! I have a slow metabolism genetically, 2/3 of my father’s side of his family are really obese….. so I’ve been dieting since I was 9, when I decided I did not want to look and feel bad about myself. Yo-Yo syndrome has happened again as I age and my weight has fluctuated ever since I had my baby … I am now over 10 pounds heavier than my goal weight. A month ago I decided to make a change and make lifelong decisions instead of strict diet moments to hopefully break the cycle. I’m sharing all this with you to invite you to join me in this journey of living a healthier life, on your own terms. I will be sharing recipes, workout options I want to try, outfits and gadgets to help us along the way! Plus I have a super special incentive which is the Disney Social Media Moms Cruise coming up in February! I need to get my bikini body ready! Today, as I share my decision with you, I am going to also share my thoughts on the best wearable device and what I love and not so love about each one of them! Yes, I own multiple fitness trackers. 🙂 They track how much I sleep, how I sleep, my activity, my goals and some also compare my progress with my friends! 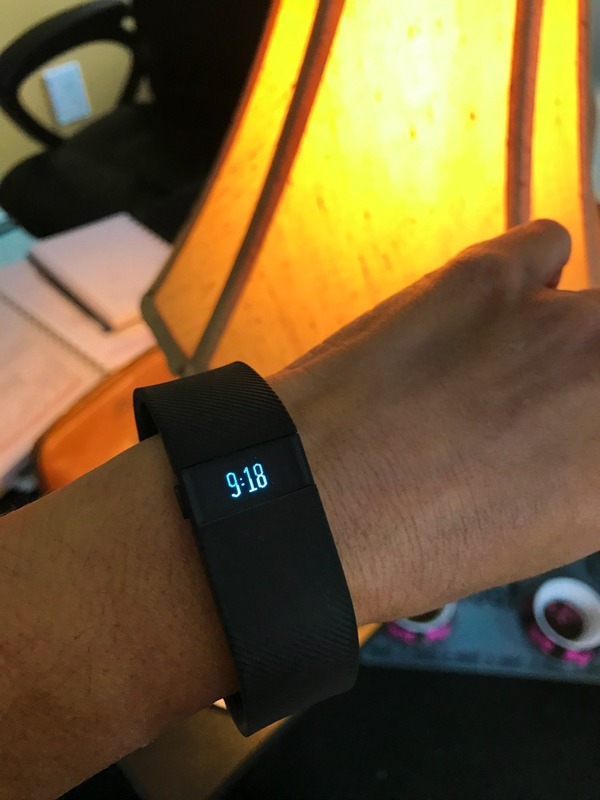 Fitbit Charge – I received this for Christmas two years ago, three months after I lost my previous one at a store parking lot … I know that they have launched two different models after this one, but I needed to share my opinion on the ones I’ve owned. What’s Trendy: It’s not intrusive, not large, it connects with my phone and I can share my progress with other friends! What’s Trendy: I love the color and how the band is so smooth and feels nice, allowing me to sleep with it and not notice. I also love that it is water proof, I never have to take it off and that it works with my iPhone – so when I’ve arrived in Brazil, it changed the time zone. It also tracks my sleep. What’s not so Trendy: Since mine is white with a plastic band. I saw myself leaving it at home when I attended more formal dinners. I wish there was a way to choose a different band and interchange it. But besides that, I truly love this one! What’s Trendy: Love that works in a broader way, analyzing your breath, your activity – even when you are sitting, your concentration … it’s super cute and you clip it to your bra or inside your clothes. 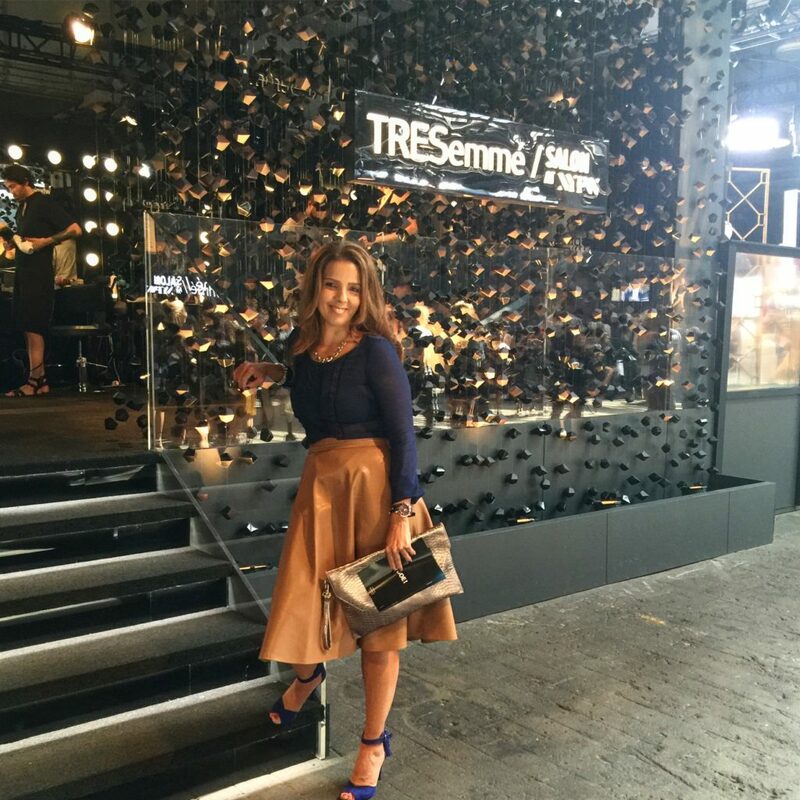 What’s Trendy: It is SUPER cute! You know I’m a Michael Kors fan, right? Soooo me! I can use it anywhere, the band feels dry even after I work out. The app is the easiest one to use and let’s you set goals and interact with other health apps. It tracks my steps better than any other tracker I have. It also tracks my sleep and rest activity. What’s not so Trendy: It does not display time, so I need to wear it with a watch. The only other thing I wish is that it was water proof. It is super fancy, so if you are clumsy, hit the walls or things all the time, this might not be a good choice for you. This is by far, my most favorite of them all!! It made this Michael Kors fan very happy! I hope my review helped you find the right tracker if you are in the market for one! They are all great trackers though, you will not be disappointed! After all, owning a tracker helps you track your progress and get motivated to do more and reach your goals!!!! As usual let us know if you own a fitness tracker and what you love about it or not! Give us a Trendy Shout! I’ve heard of FitBits, of course. A number of my family members have them and they keep talking about how amazing they are. I had no idea there were so many products on the market, some more attractive than others, to track what we are doing and aid in our health. Thank you for teaching me so much about what is available! I don’t have a fitness tracker but would be so cool to get one! The Withings is my fave. Too bad you can’t change the band. I have an older Jawbone UP band. It still works perfectly but it is so thick that it bangs on my desk and keyboard when I am working. I have been trying to decide what tracker I should replace it with. I really like the newer ones that look like jewelry and less like trackers. I don’t have a fitness tracker but if I were to get one, I’ll definitely go with the Withings! It’s so pretty and chic! I tried Fitbit but I think I’m more of a Spire person. They both have the same Pros if you think about it, and it’s just a matter of what’s more comfortable I guess. 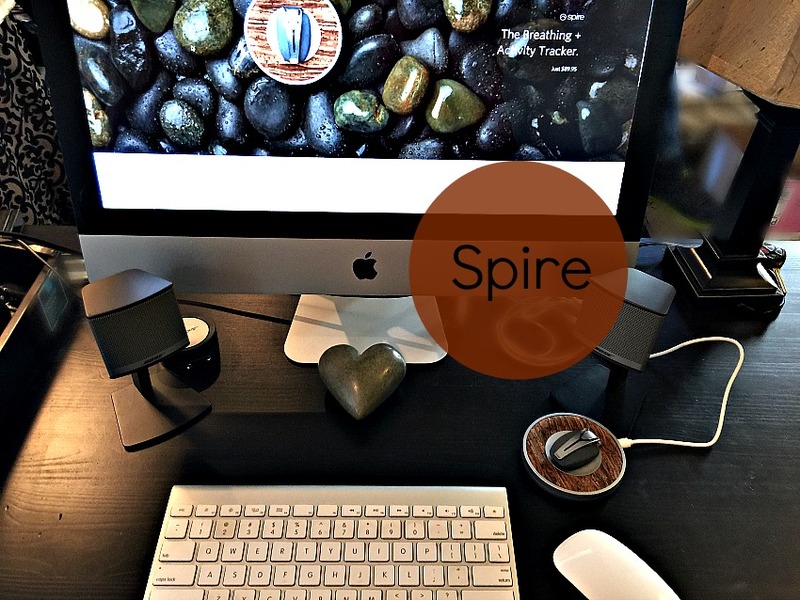 I still tend to go back to the FitBit but the spire looks good. I do want one with a watch feature. Thanks so much for the comparisons! This is so great I was just saying I wanted a new one since my old one doesn’t sync with my new phone. I have two activity trackers. I got one about a year ago and never used it since it was a pain in the rear to charge. This year, I got another one and I am loving it so far. It is similar to the fitbit but it is an off brand. I love how I can track my sleep. I feel exhausted all the time and wanted to be able to see my sleep patterns. I love how trendy and blingy some of those trackers are! Definitely need to look into getting one or a few of these especially since they look like jewelry! 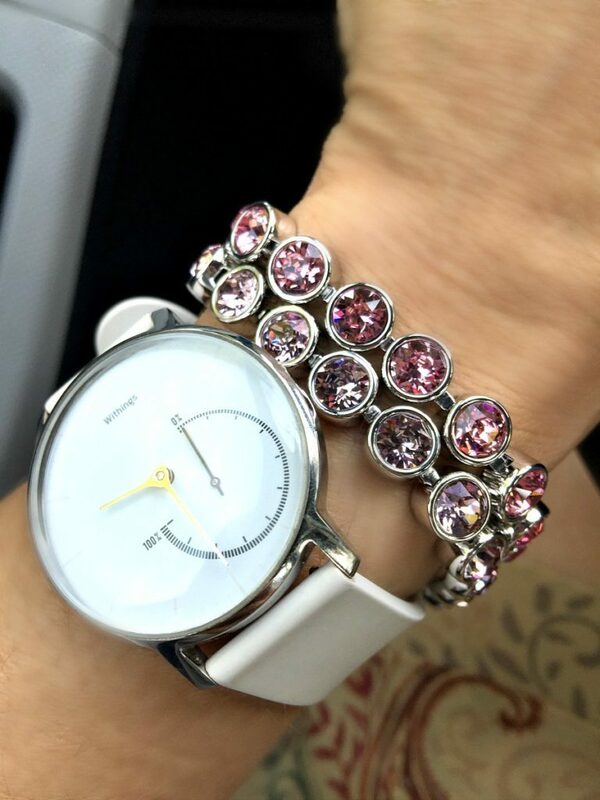 The Michael Kors one is super cute, but I am a FitBit girl myself. Love my HR Charge! I love the Michael Kors Access. that is super chic and very fashionable. Such great tips. I honestly had no idea that there was so many different fit trackers available now. This is great to know my options. 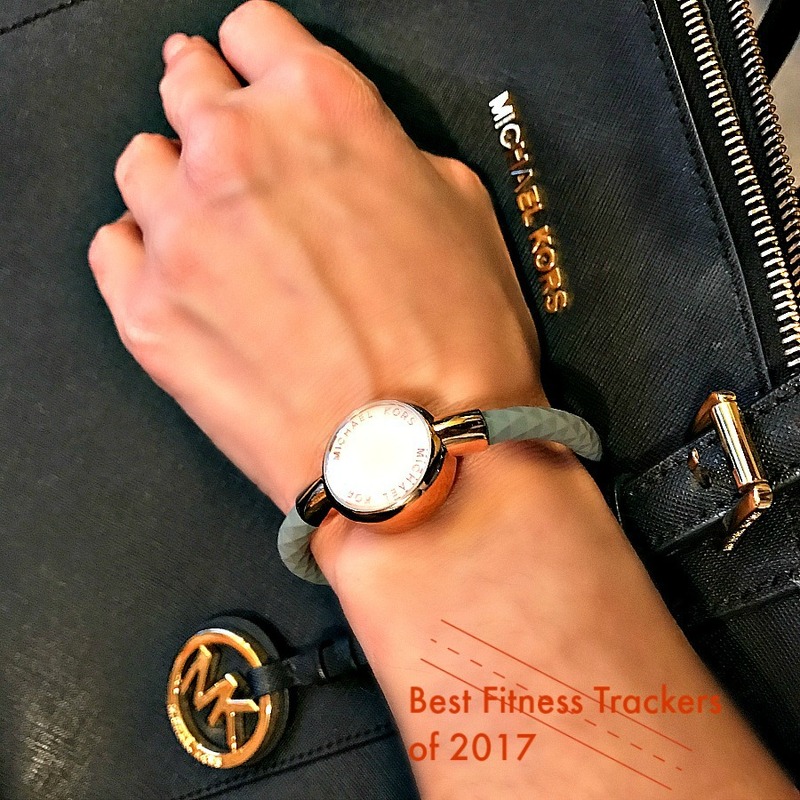 This is a great post on the best fitness trackers of 2017. I would have to say that the one I would probably choose would be the Michael Kors one because I love the design and it is the fanciest of all of them. Thanks for sharing the information. That Micheal Kors Access looks so cute! I think these are great inspirations to get fit. Great picks! I am also a big Michale Kors fan. You are right, that fitness tracker is super fancy and I would love to have one. These trackers in your post are also so functional and pretty, just my style. I’ve been going to CES for years and have seen so many more new jewelry-like ones that will soon be available to consumers. So you, I and everyone else has a lot to look forward to in 2017. I have a Fitbit and just took it off over the holidays – bad girl, I know. I am back on track and grateful for it. I used the timing feature for my workout this evening. wow there’s some nice looking fitness trackers to choose from! I’d love one, or all of them, depending on my outfit for the day : ) thanks for sharing! I didn’t even know Michael Kors made a fitness tracker. How elegant is that? I would want that one for myself. I have a Fitbit and I love it. I’m so glad that I got it. It really helps me keep track of everything every day. I just got a fitness tracker for Christmas. I love being able to monitor my heart rate. I love my Fitbit tracker. It really helps me push myself to beat my previous days steps. I like that you can go online and compete with people. Ooh, I didn’t know about the Michael Kors one. It’s definitely nice. I’ve never had a fitness tracker before! Ok, I’m a MK fan as well! This would be another fashion accessory though. I think I like the Withings from what you’ve displayed here the most. You really don’t have to take it off. I’m typically at home and work, nowhere fancy! I think you look amazing but you are so right that a number is not what it is really about. It’s about feeling great about yourself! I have never invested in one of these trackers. I love that they can keep so much information for you while you try to reach a goal. To be quite honest, I have so many fitness trackers. However, I could not tell you where they all were if I were getting paid! I better scope them out! My favorite is the FitBit Charge 2. If you haven’t checked it out, you really should. It’s a major upgrade over the Charge or the Charge HR. I need to invest in one of these as my metabolism has hit rock bottom! I love these tips- I never knew there were so many to chose from! I am so glad you shared this with us. I am actually looking into getting a fitness tracker and knowing the pros and cons is great. Well you still look great to me. I think any kind of fitness goals and health-mindedness is always a good thing, as we get older it gets harder, so establishing the good habits now make it more managable when age becomes a factor. I have been wondering which fitness tracker I should get as I try to be healthier this year. The only one I had heard of is the FitBit. I have been thinking about getting an activity tracker for a while now. I have to say, this list surprised me – I had no idea there was such a variety out there. Some of these don’t even look like activity trackers, which is a great option. Thank you so much for sharing these! I have a fitness tracker, but I don’t like the way it looks. I’d much rather have one that is stylish. I didn’t realize there were so many trackers. My sister is using FitBit but I might like some of the other options as well so I’ll do a little research to find the right one for me. I have never heard of some of these trackers! I love the look of them though! You would never know they were a fitness tracker! I had no idea there were different trackers besides the two main ones I’ve heard of. That Michael Kors one is beautiful. I love all the option is now with fitness trackers. The Michael Kors one stands out as a favorite to me. Oh wow! I love those trackers that look like watches or jewelry. That is so much nicer than the obvious tracker look.